Anyone who knows me knows of my love for purple. It’s a colour that I’ve always loved, ever since I was a child and when I found this fabric in my stash I knew what I wanted to make with it. it’s basically the brightest purple ever and I love it! You may remember the fabric from this top which didn’t quite work out (and you’ve also had a more recent sneak peek of this dress here). I bought it a few years ago from eBay. 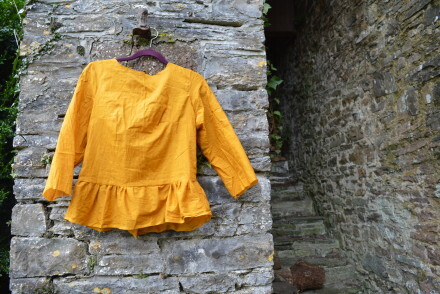 It’s viscose so has a lovely drape to it, which maybe didn’t lend itself well to the Marthe top I made, but definitely works for this beauty. 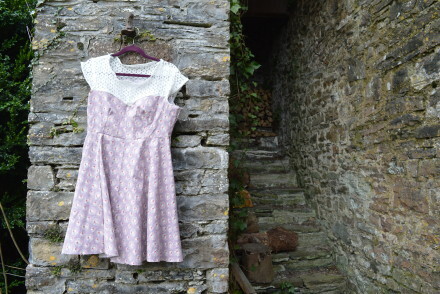 I used the New Look 6866 pattern (a reproduced pattern from the 90s I believe) to give it the grungey edge I look for in most of my summer dresses these days and it’s been on my to-make list for ages. 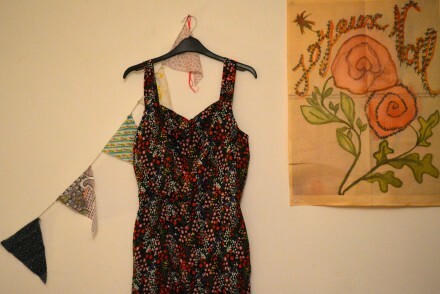 I literally obsessed over this dress for ages before I made it! 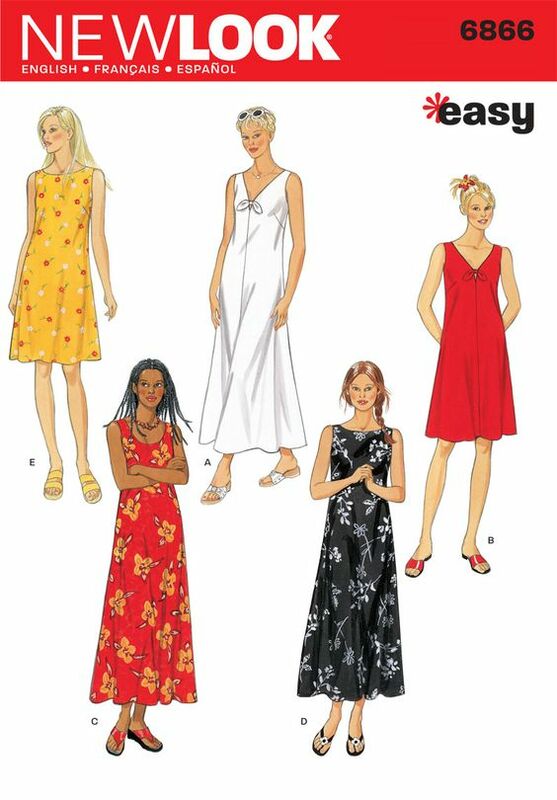 One thing I would say for this pattern is it comes up large. I made a small which is meant for a size 8/10 and it was still too big. I’d definitely recommend sizing down with this one, although had I used a sturdier fabric perhaps I wouldn’t have had the same issues? I made view E but the back is V necked, kind of like the front of A and B (minus the bow). I’ve made a second version of this now and a modified version, but next up on my list is the midi version. I basically visualised myself wearing this in a teen movie from the 90s – that was the look I was going for. I’d also love to make a version with vintage fabric! Hmm, lots of plans!